When Netflix and Chill and the common food hub dates already bore your relationship, try visiting this new hidden destination away from the hustle and bustle of the city, and discover the beauty of this hanging gardens spa. Only an hour away from Manila, Luljetta’s Place located in Antipolo City. The place boasts of tranquility and utter relaxation, not to mention a stunning view. 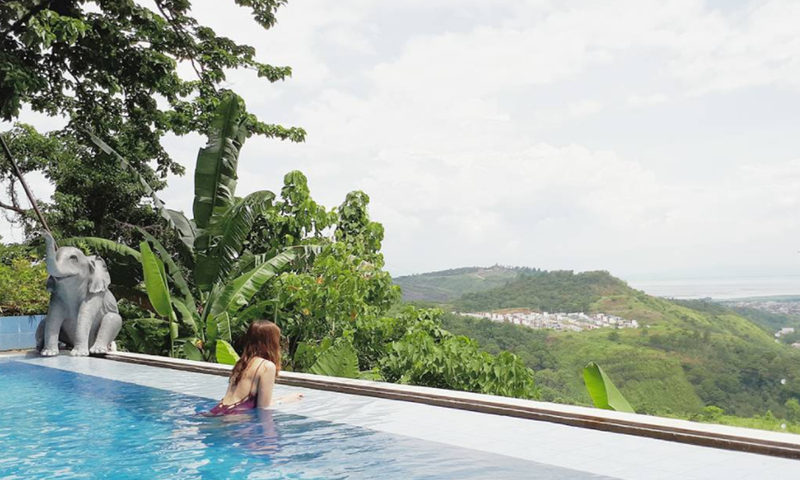 Its instagrammable corners and breathtaking sites are also a kind of secret beauty you can only witness if you pass by Antipolo’s oldest resorts: Loreland. Guests will also get to see the natural beauty of Manila skyline, Laguna de Bay, and the eight-hectare Antipolo lot on which the hanging gardens and spa stand. If you and your significant other are the type of people who love to unwind after a stressful week, the astounding view of the Rizal mountain can be seen once you take a dip in its breathtaking infinity pool. Plus, you and your significant other can also spend time together watching the sunset together. The main attraction of the place are the hydrotherapy pools and hydromassage pools that are also free for everyone who wishes to experience a different kind of massage. Its operating hours is from 10AM until 9PM except for Saturdays wherein they operate until 11PM. But just a few reminders, Luljetta’s encourages guests to make reservations 3 to 7 days before the actual date of visit. For day tours, you may choose between Php1,750 (inclusive of free lunch, snacks, and access to all swimming pools) or Php1,150 (inclusive of free snacks and access to all swimming pools only). To get there from Manila by public transpo, take an MRT until Cubao station where a van terminal going to Antipolo is located, then take a tricycle going directly to Luljettas’ once you reach the Antipolo church. Riding a van costs P50 while the tricycle ride costs P70. Spruce up your daily dates to a hanging bride, infinity pool experience!